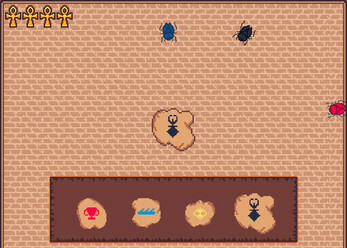 Combine different colored glyphs to kill all the scarabs and pass the level. 12 easy mode levels, 12 hard mode levels, or test your wits with Endless Mode. 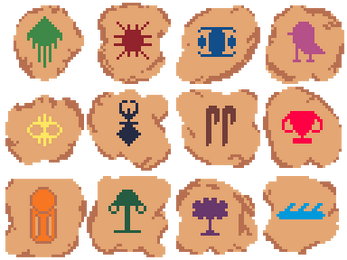 Use 1-4 on your keyboard, or left mouse button to select glyphs. 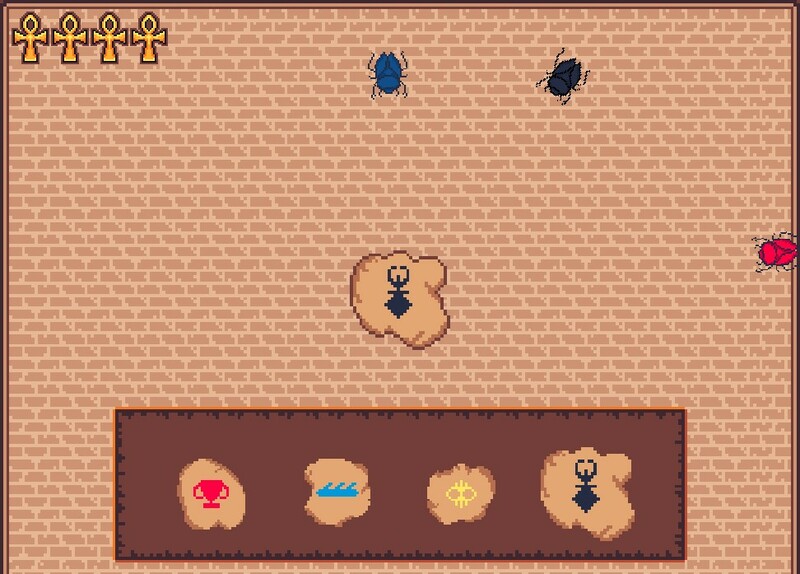 Use spacebar or click on the middle glyph to activate it and kill any scarabs that match it. 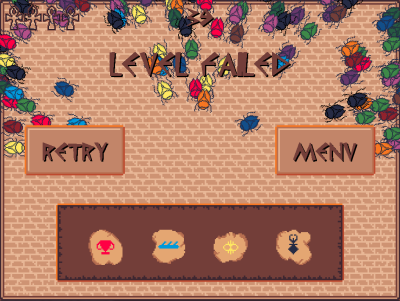 Clear all the oncoming scarabs to win. What is not to like about this? It was a lot of fun, intuitive, great artwork and music. Really well polished game for a weeks worth of work. Kudos!